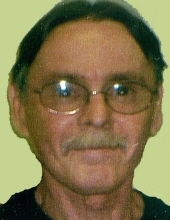 Timothy E. Warner, 59 of Lodi, Ohio lost his battle with cancer Friday, April 5, 2019 at Hospice of Medina County with his sister, (best friend) Linda by his side. He was born February 10, 1960 in Lodi to Arthur and Pearl (Fortune) Warner, and grew up in Chatham. Timmy enjoyed working on cars, being outdoors and loved rebuilding and painting mowers, especially Craftsman. At the end he enjoyed putting together model cars. And many nieces, nephews and cousins. He was preceded in death by his parents, sister, Hilda Jervis, brother, Albert and his cat Baby Girl. Funeral service will be held Wednesday, April 10, 2019 at 12:00 PM at Parker Funeral Home, 210 Medina St. Lodi (330-948-1122). Hospice Chaplain Jamie Stewart will officiate. Burial will follow at Chatham Cemetery. Visitation will be 1 hour prior to the service on Wednesday, (11:00 – 12:00) at the funeral home. In lieu of flowers memorial contributions may be made to the family to help with expenses. "Email Address" would like to share the life celebration of Timothy E. Warner. Click on the "link" to go to share a favorite memory or leave a condolence message for the family.